In our Member Spotlight blog series, our readers get a chance to meet the members that are part of NACO and how they benefit from their membership with us. Whether a company has accomplished an exit, received an award, or an Angel has expanded their portfolio, the Member Spotlight blog series captures those stories for our readers to enjoy. 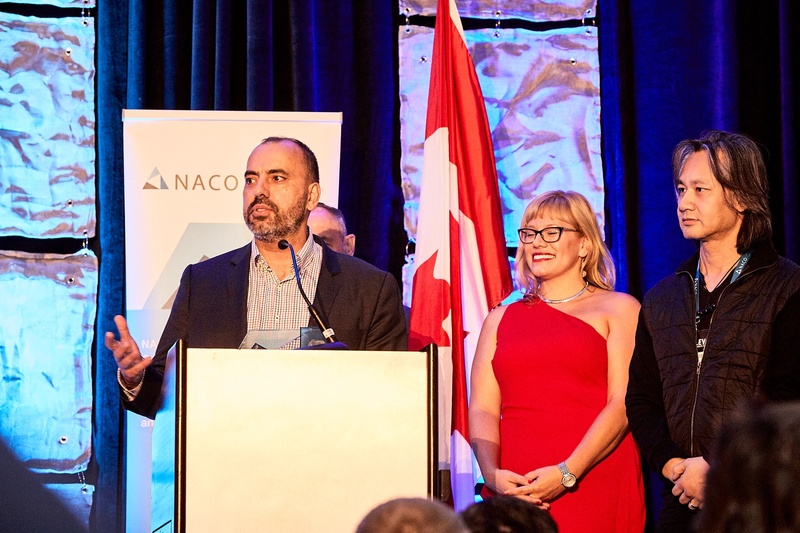 NACO’s unique community is a place for members to share best practices, syndicate on deals, and collaborate to further support Canada's early-stage ecosystem. Here at NACO we have several different types of membership. Membership is available for individual Angel investors, Accelerators & Incubators, Angel funds, Angel groups, as well as Angel group members! The Angel group membership is designed for formal Angel groups whose members are accredited investors. This leg of our membership has grown over the years and we're so proud to have groups like the Golden Triangle Angel Network (GTAN) be part of our membership. GTAN is a members-only organization comprised of Angel Investors seeking investment opportunities in promising, early-stage businesses. They provide their angels with opportunities to increase their exposure to quality pre-selected, investment-ready companies, and the ability to expand their network of like-minded investors. GTAN Angels are successful entrepreneurs who are seeking opportunities to invest in companies in which they can take an active interest. Most Angels are active investors – they mentor the companies in which they invest by contributing time and experience as well as offering introductions to valuable contacts. They deploy their cumulative experiences and capital to help the next generation of entrepreneurs become successful. One of the companies that GTAN members have in their portfolio is Zoom.ai. Zoom.ai is a chat-based productivity tool that helps employees securely automate everyday tasks including searching for files, scheduling meetings, and generating documents. This past September, Zoom.ai was awarded Most Promising Startup of the year at the 2018 NACO World Angel Investment Summit. View the bottom of this blog post to learn more about the NACO Awards. Last week we got a chance to catch up with Founder and CEO, Roy Pereira, to ask him a few questions. How would you describe your relationship with The Golden Triangle Angel Network (GTAN)? 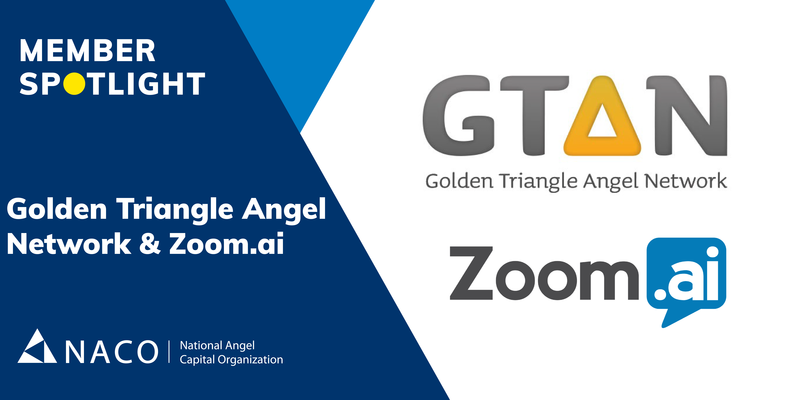 Zoom.ai and the Golden Triangle Network have been working closely together since our first round of funding. We not only have gone through two funding rounds together, but in the second seed round, GTAN members came in and increased their equity position. We are also pleased to have Benton Leong on our Zoom.ai Board of Directors. Benton Leong is on the Board for GTAN, he's also a NACO Academy Instructor! Zoom.ai was awarded Startup of the Year at this past NACO World Angel Summit - can you describe what that meant to Zoom.ai? Zoom.ai was thrilled to be awarded the Startup of the year at last year’s NACO World Angel Summit. This recognition supports our vision to enhance every employee’s experience at work. It’s truly an honour to be recognized by Canada’s Angel Investors and we’re looking forward to what the future holds for us and the future of AI in Canada. After hearing more about Zoom.ai and their relationship with GTAN, we we're thrilled to hear from one of Zoom.ai's lead investors Brian Hunter, a member of GTAN. How did you find out about Zoom.ai? Zoom.ai presented to GTAN and received a very strong interest from investors. So strong that the round was oversubscribed and we were unable to invest as much as we would have preferred. What's the journey with them been like for you? Very positive. We get regular quarterly updates with excellent detail from Roy. He’s also been available to meet one on one. When the chance to invest more came up in a VC led round, we jumped. They were awarded NACO's Most Promising Startup of the year in 2018 at the World Angel Summit - can you describe what that meant to you? We were in attendance when it was announced so it was very exciting. Its great to see Roy and his team getting acknowledgement for their efforts to build a world class company. What has your experience been like so far since becoming a member of GTAN and NACO? It feels like we are sitting on a gold mine here in the Toronto-Waterloo tech corridor with its abundance of startups that need capital. GTAN is our best tool for reaching the gold. We believe you need to have a portfolio of Angel investments to be successful and having a steady flow of pre-screened deals is critical. We like the variety of deals that are presented at the meetings and the presenters can be very compelling. The other big benefit of being a GTAN member has been the opportunity to do due diligence with other Angels, many of which bring industry expertise to the table. We are definitely making better investment decisions by collaborating with other angels. So far, we’ve only mined gold - no coal. NACO is happy to present three awards every year to recognize the success of our community. NACO members are able to nominate who they think should receive each award. The three awards are; Exit of the Year, Most Promising Startup of the Year, and Angel of the year. For more information on NACO's Awards and past winners, click here. Learn more about NACO's Membership and Benefits!